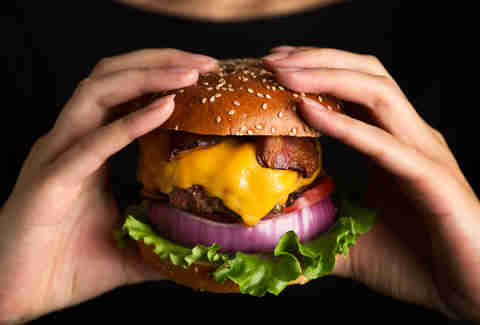 While the diner burger represents a quick, casual weekend getaway for your mouth, the steakhouse burger is like one of those blow-out, once-a-year moves: fancier, bigger, and more at home in a music video featuring lots of Champagne sprayed on rented sports cars. The most important part to getting these ornate burgers right is the beef. Get the best quality you can buy (i.e. butcher shop, not supermarket) and grind it fresh. 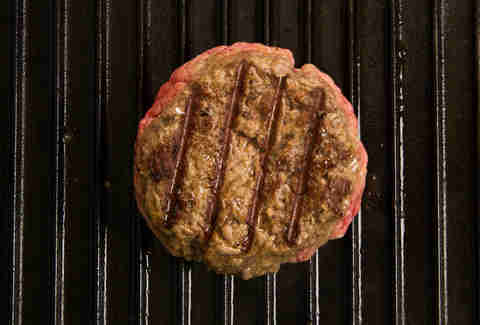 This will create the flavorful, juicy burgers steakhouses are known for. And since it’s your party: feel free to go crazy with the toppings, or just keep it simple and let the meat shine. Freshly ground meat makes all the difference. If you don't have your own grinder, ask your butcher for a coarse, loose grind of short rib, brisket, and sirloin. Two pounds of ground beef will get you four fat patties. Gently form balls of meat that weigh 8 ounces each. Try to smooth over deep crevices (cracks allow heat to penetrate the core too quickly) and gently press them into discs about 4 inches wide. They should have air pockets for juices to gather that will keep them tender. 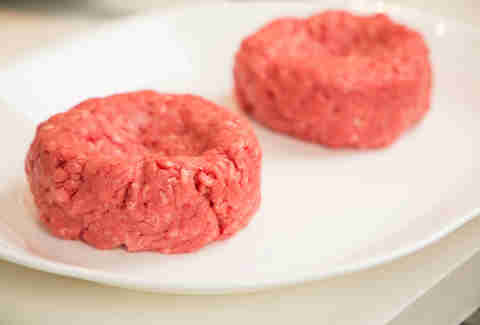 Use your thumb to create a dimple in the center of each patty to prevent them from doming while cooking. Season liberally with kosher salt and black pepper. 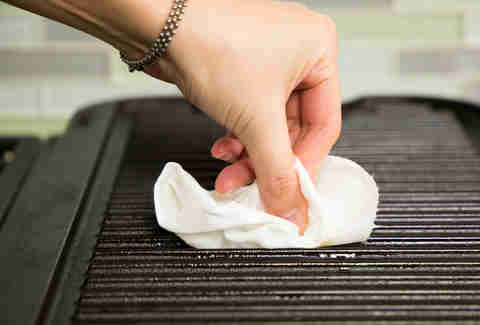 Soak a paper towel with vegetable oil and brush it over your grill. Heat it to medium-high. 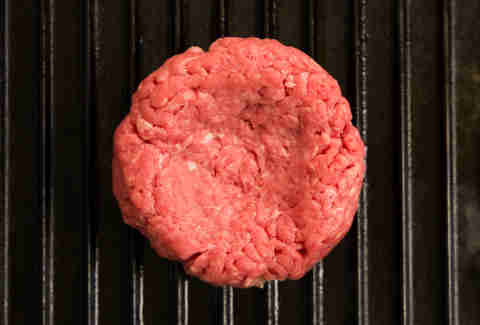 Once the grates just begin to smoke, place patties on the grill, dimple-side up. Cook for 2 ½ minutes without budging them. Resist the urge to smash them, too. 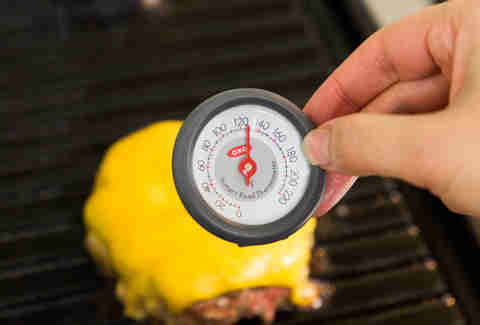 Flip the patties and cook the other sides until the centers register 110°F on an instant-read thermometer. 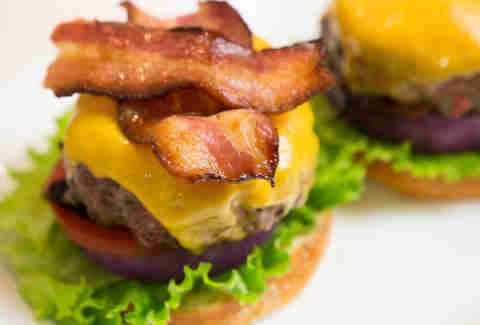 Place one slice of American cheese on top of each patty and continue to cook until cheese is melted and burgers register 125°F for medium rare or 135°F for medium. Transfer them to a plate. We added romaine lettuce, red onions, tomatoes, and bacon to ours, but toppings and condiments don't matter as much as the bun. 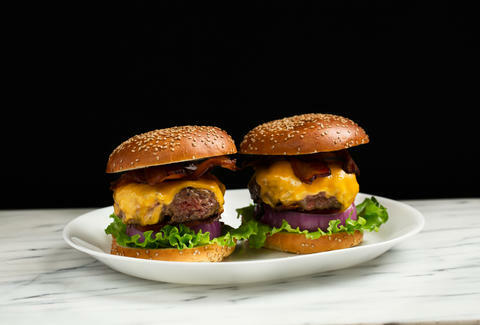 Toasted sesame seed brioche buns complement these hearty burgers perfectly.